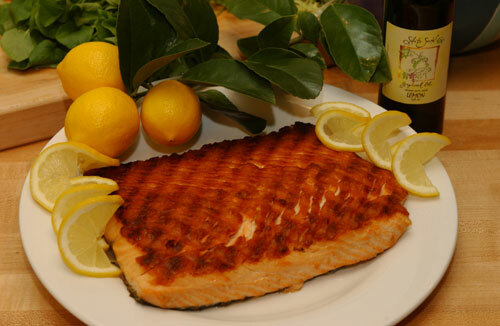 A 4-ounce serving of salmon has approximately 2,000 milligrams of docosahexaenoic acid (DHA) and eicosapentaenoic acid (EPA), omega-3 fatty acids that serve as oil for the brain’s hardware by helping nerve cells communicate with one another. Thirty-five percent of your brain consists of fatty acids like these, but they can decline as the years stack up. Studies have found that the brain tissue of 65 to 80-year-olds contains 22 percent less DHA than the brain tissue of 29 to 35-year-olds. “If you want to keep your wits about you as you age, start consuming Omega-3s. Fish Oil capsules can be had in case salmon is not available and also for vegetarians. Avoid Cod and Shark liver oil. Fish oil is taken from the body of the fish and not its organs. Flax-seeds are another good source of Omega-3.